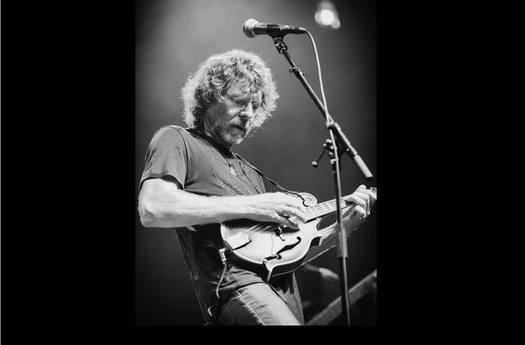 DANBURY, CT - Newport Folk presents Grammy Award-winning artist Sam Bush at 6:30 p.m. on Friday, Sept. 21, at Ives Concert Park on the Western Connecticut State University Westside campus, 43 Lake Ave. Extension in Danbury. The performance is part of the Newtown Savings Bank Fine Arts & Family series at Ives. Bush is widely recognized for his blend of jazz, folk, blues, reggae, country swing and bluegrass influences. Having done both solo and sideman work with bluegrass and roots music, he also has played alongside Emmylou Harris, Lyle Lovett and Béla Fleck. Bush is celebrated for his Americana Music Association Lifetime Achievement Award, International Bluegrass Music Association trophy and for his multiple Grammys. In addition to Bush, Tony Trischka, Michael Daves and Flagpole Radio Café Orchestra will perform on the Ives Garden Stage. The doors at the venue will open at 6 p.m. General lawn admission is $22 and reserved tickets are $35. Discounts are available for WCSU students and alumni with ID, and discounts can be obtained by calling (203) 837-9227. Lawn and reserved tickets are available online at ticketfly.com or at the gate. Ives Concert Park has partnered with the Cornell-Carr Company Inc., Stockbridge & Berry and the WCSU Alumni Association to make this event possible. Also coming up at Ives are country singer Jessica Lynn (Sept. 15), Brush and Brunch (Sept. 23), Free the Children (Sept. 29) and the Fore ‘n’ Aft Benefit Reunion (Oct. 6). For more information, visit www.ivesconcertpark.com/.